Day two on Lake Champlain came and went. The fishing for the morning was good. We were on the water shortly after sunrise and had decided to try a new area that we hadn’t fished before other than through the ice. The weather was suppose to be calm until late morning when the rain rolled in. Our plan was to fish a few hours in the morning then retreat before the rain came and catch up on sleep! 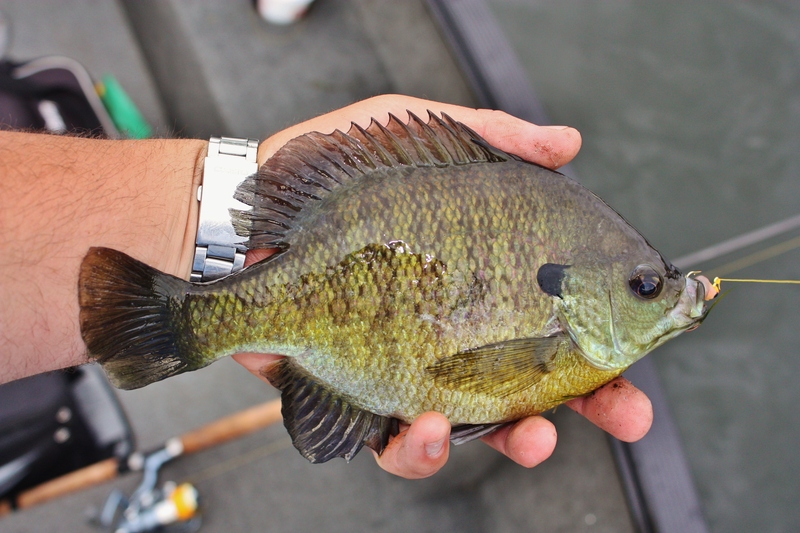 We worked the first shoreline of the day and found only rockbass and small pumpkinseed. Looking around, we noticed a shoreline with grass and no camps that suited our desires. We motored across and began fishing around. 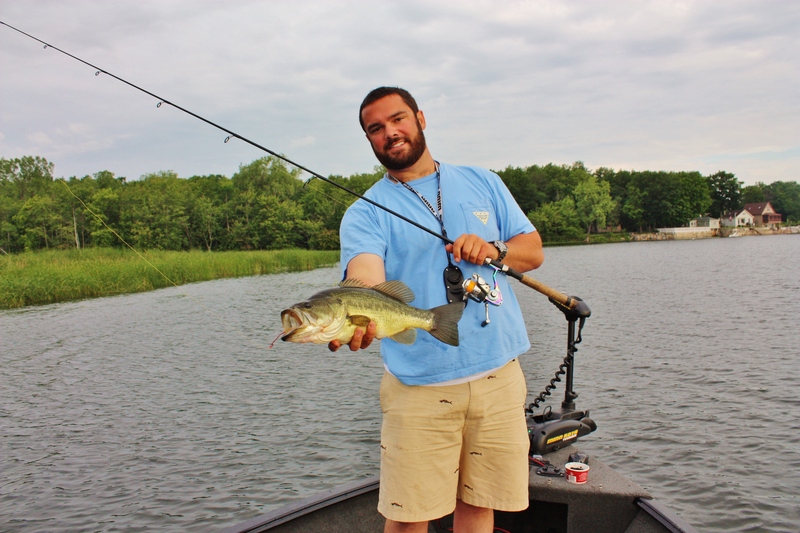 Fishing mostly shallow, we found some bass but also a ton of big bluegill. Everything seemed aggressive but the bass weren’t very consistent. 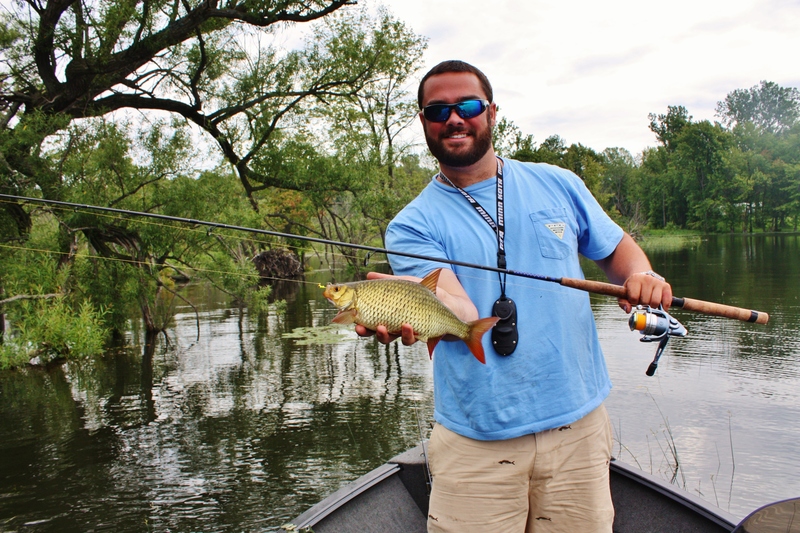 The more we worked the shore, the more concrete our pattern became until we came across a small weed patch in deeper water that was loaded with bass. The majority of our casts produced fish and the ones that didn’t was only because we missed one. It was great to see how many bass could sit on one small patch! 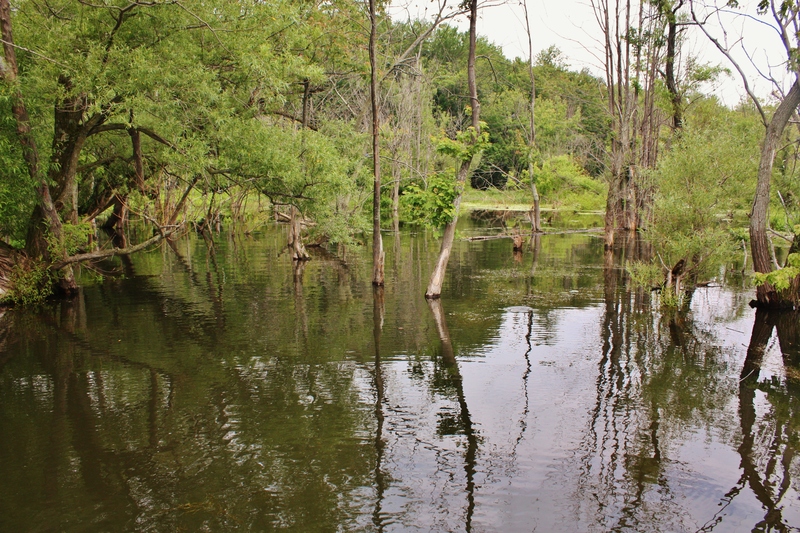 After it seemed like we had exhausted the sweet spot, we continued our way down the shore to a big flooded timber flat. We were tossing senkos and night crawlers. Both were producing fish. Switching back and forth, I kept myself content and the pressure off from my friends ragging on me for fishing for “little kid fish”. The closer you could get to the trees, the bigger the fish got! Right along with the bass and panfish were rudd. They sure do put up a good fight for their size! Previous Post6-30-13 – High Water On Lake Champlain (Part 1)Next Post7-14-13 – Finally On The Whites Again!